Sell by: This product is nearing the end of it’s freshness, so the stores should sell it so you’ll have time to cook and/or eat it. Use by, Better by or Best by: This product will taste best if eaten by this date. It’s still edible for some time after, but may not taste as good. Use your best judgement when eating a product past this date, but it shouldn’t harm you if eaten within a reasonable amount of time for meats/dairy/refridgerated foods or for quite some time for non-perishables. Dates with no label fit into this category. Expires: Don’t use this product past this date. Now here’s my personal take on any of those dates. If a product says it expires on Thursday of this week, does that mean that magically at 12:01 am on Thursday it’s no longer fit to eat? Of course not. Manufacturers can only make an educated guess as to the life expectancy of a product. It’s up to us as the consumers to smell our foods to see if they are still fresh and look at them to make sure they’re not, ahem, growing anything. Don’t be fooled by packaging smells though. Take the item out of it’s package so all you smell is the food. It’s common for milk to crust around the spout and spoil, while the milk inside the jug is just fine. I’ve also had sandwich meats that smell ‘off’, but it’s just the juices inside the package. With any product, it’s life span is only so long once it’s been opened. We can’t expect to open a package of sandwich meat and find it still fresh and edible 3 months later, regardless of the use by date on the packaging. I’ve opened boxes of cereal that were months past the best by date to find they tasted as fresh as newly bought cereal. 2 days later the cereal was stale though. Just another reason why we should try to limit the amount of opened or cooked food that we have at any given time. I tend to be more cautious with dairy and meat products, while bread products seem to last forever even if they don’t taste quite as good. 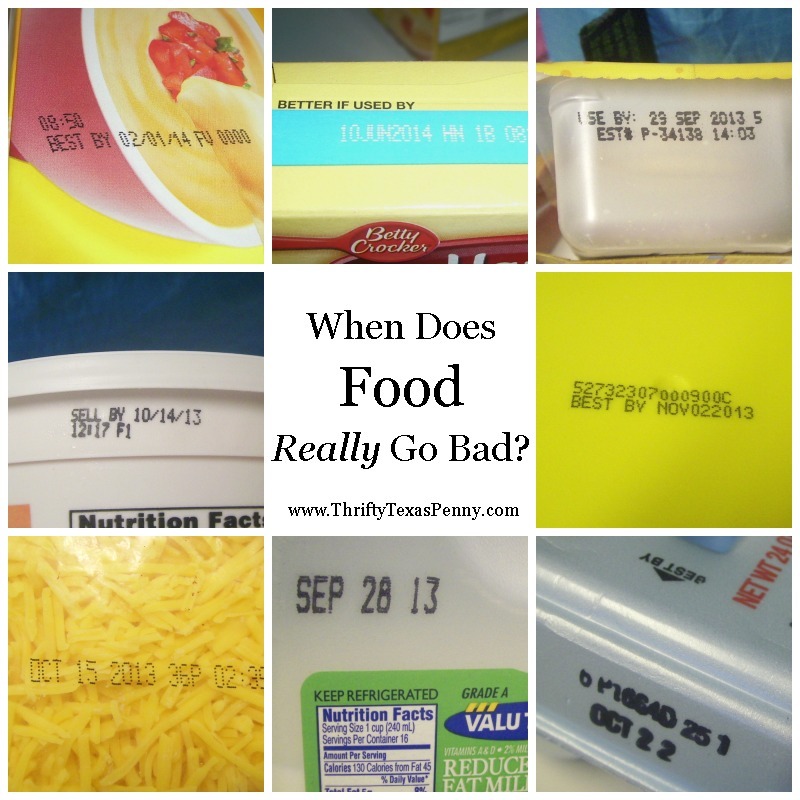 How long will you use a food past the marked date on the packaging?